Denim label Jacob Cohen craft Eco-friendly jeans and clothing of premium quality which have been designed and tailored to perfection. Utilising sought-after Japanese Kurabo denim and the softest cottons, Jacob Cohen clothing has been carefully handcrafted in Italy and expertly finished for maximum comfort and style. Offering a range of fits and washes, the label are renowned for their synonymous style of tailored jeans, the Jacob Cohen menswear range concentrates on regular and slim fit silhouettes, with an emphasis on luxury through limited edition styles and signature finishing touches, whilst Jacob Cohen for women showcases streamlined cuts that are designed to support your looks from day to night effortlessly. 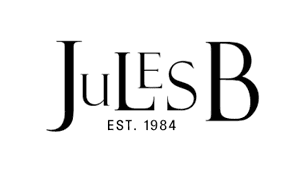 Shop Jacob Cohen online at Jules B today and add unrivalled luxury to your denim collection.